If you’re fairly new to writing web content for clients — or you’d like to establish a consistent approach to web copywriting — here’s a helpful checklist to ensure you follow a clear, professional process every time. Before I share the checklist with you, it’s important to know what clients expect from you. First, they expect you to drive the content-development process… from the first call to the finished web pages. Clients aren’t experts at writing web content. That’s why they hire you. They’re counting on you to be “the boss” of the content. In addition, they don’t expect you to be a web programmer or designer. Most clients have a web team already. They just don’t have a skilled web copywriter who knows how to blend clear, persuasive copy with search keywords into a smooth-flowing user experience. As “the boss” of the content, you’ll be providing the copy and working with the client’s web team as a valued consultant. 1. Ask smart questions during the initial conversation. Demonstrate your interest in helping the client by asking questions that guide the conversation and give you insights into what the client needs. This also shows them you know your stuff. Who are you trying to attract to your website? What are you trying to get prospects to do when they arrive? Why do you feel your website isn’t working now? What would make your website feel more successful to you? These first five questions alone will reveal a great deal and give you a chance to show your interest in helping your client. Make sure you have a great answer to that question. 2. Land the project with a clear, professional proposal. 3. Become a detective using a Creative Brief and your research skills. To do your best work, you need to collect the best information up front. Send your client a questionnaire or Creative Brief in which the client can give you background information on: the prospect and current customer; the company; its products and services; its unique, competitive positioning; its promises and offers; what they want visitors to do (watch a demo, sign up for a newsletter, request a free report, etc.). This information will be priceless as you go about researching the market (and keywords) and planning what you’ll write in your content. 4. Meet the web team. Ideally, you’ll want to meet the web team as early in the process as possible. After all, the web developer/programmer and possibly a web designer will want to know how you work and what you have in mind. Quite often, web developers have a preferred way of receiving content. Some want it in a Word document, formatted to show which content goes in what position on the page. Others want Google docs with comments. Be sure to ask what your client’s web team wants, so you can be an accommodating team player. It’s also a good idea to get a feel for team expectations. For instance, are they standing by to add your Page Title Tags and Meta Descriptions for each page… or do you need to walk them through your plans, so they can add an SEO plugin? You may find there’s a little give-and-take… adjusting your deliverables for different client teams and the way they work. 6. Present the content in a “show and tell” format for easier buy-in. Here’s a tip that may influence how quickly clients accept your content: Send your content with an explanation of why you wrote it the way you did. Provide some context and reasoning about your approach to the headline, body copy, call-to-action, captions, etc. Even better, include text boxes and possibly images that show your client exactly how you see the content flowing on the page. You don’t need to “design” the page or make it beautiful. Just lay it out in Word, using text boxes, to give your client a sense of how the page will flow. When they can see the flow, they can focus on the words and not worry so much about how it will all work. This usually means they’ll accept the copy much more quickly. 7. Be a total pro when changes are requested. This is very important. Nobody knows the company and its products/services better than your client. So, expect some copy changes and accept them in the spirit of pleasing your client while still ensuring the web content will work in driving leads and sales. If there’s a conflict, explain your approach in a cheerful manner and underscore where you’ve used best practices. Show how excellent websites are following the same best practices, for instance. This will help win over your client. Wrap up the project by delivering clean copy with clear directions. If you need to get on the phone with your client and the web team… by all means, do that! It gives you a chance to present your final work and make sure everyone’s happy. Even better, ask to see the pages in layout once the programmer or developer has added your content. You may spot a change or two that can strengthen the copy flow, once you see it in the “dev” pages. This follow-up goes a long way in showing the client how much you care about the quality outcome of your work… and the resulting leads, downloads, etc. This is just a starting set to develop your own working checklist for writing web copy. The point is — having a checklist and process elevates you to a confident, buttoned-down pro and shows clients you know how to manage your work like a boss. 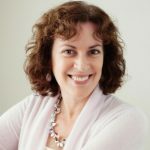 As a certified SEO Copywriter and web content consultant, Pam is an expert on managing client relationships and has written multiple programs on landing and working with great clients.